According to the report of Work Related Injuries in Colorado published by the Colorado Division of Workers’ Compensation, back injuries account for a significant number of the injuries that cause workers to make a lost-time claim under the workers’ compensation system. This means back injuries represent a large percentage of the serious work injuries that people experience that cause them to miss days of work. Bank injuries can range from soft tissue damage to disc and vertebrae damage to spinal cord injuries that leave you totally paralyzed or even cause death. A back injury is likely to require extensive medical care, possibly including surgery, physical therapy and ongoing chiropractic visits. It may also seriously interfere with your ability to earn a living. As such, if you suffer a work-related back injury, it is essential you contact an experienced Boulder Colorado workers’ compensation attorney for help. 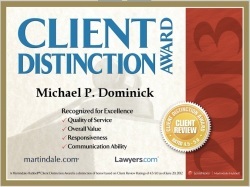 If you live in Boulder, Thornton, Longmont, Louisville, Lafayette, Erie, Broomfield, Lyons, Mead, Loveland, Wheatridge, Greeley, Ft. Collins, Superior, Denver and the entire Colorado Front Range, call The Dominick Law Firm today for information on how our skilled Colorado work injury attorneys can help you to protect your legal rights after a back injury. Injuries to the lower back area accounted for 4,351 of the workers’ comp claims made for lost-time from work during the 2008 calendar year. Injuries to the upper back area and upper back muscles were responsible for another 408 claims. Injuries to the bone portion of the spinal column were the cause of 98 claims. Spinal discs or spinal column cartilage in areas other than the cervical segment accounted for 36 claims. Damage to the vertebrae in the sacrum & coccyx were responsible for 26 claims. Spinal cord damage to the nerve tissue outside the cervical segment caused 12 lost-time claims. Multiple injuries to the “trunk area” (the area in the middle of your body) accounted for 167 claims. Altogether, this means that injuries to the back accounted for approximately 20 percent of all work injuries that resulted in workers’ compensation claims for lost wages. The large number of back injury claims under the workers’ compensation system makes sense, given the many ways that workers could potentially hurt their back while on the job. For instance, back injuries are a likely result of the majority of the top ten causes of work related injuries published in the Liberty Mutual 2011 Workplace Safety Index, including over-exertion, falls, injuries that occur as a result of excessive strain on the body, highway or road accidents, striking or being struck by an object and repetitive stress on the body. In general, any injury to your back that occurs as a direct result of your performance of your job- even if the injury happens outside of your usual place of business- can result in a back injury workers’ comp claim. Regardless of the specific cause of your back injury, it is important to get help from an experienced attorney. Often, employers will try to deny the severity of your back injury or will try to force you to come back to work before you are fully recovered so that they can minimize the amount of payments you receive. A lawyer can help you to fight against this damaging behavior so you can get the benefits you deserve under Colorado workers’ compensation law. The Dominick Law Firm can help you to understand your rights under Colorado workers’ compensation laws and under the specific policy your employer has in place. Our Boulder workers’ compensation firm has assisted clients with workers’ comp claims throughout Boulder, Longmont, Louisville, Lafayette, Erie, Broomfield, Greeley, Ft. Collins, Superior, Denver and the entire Colorado Front Range. If you live in this area and need assistance understanding or enforcing your rights after a back injury, contact us today at 303-447-2644 or using our online form to schedule a free consultation to learn how we can help.